Under the Americans With Disabilities Act (2011) and Section 504 of the Rehabilitation Act (1973), a disability is a physical or mental disability that affects a major life activity. What is a “Major Life Activity”? Until a disability affects you or one of your immediate family members, you have no idea how great of an impact it is. Try to imagine having to help someone eat 3 meals a day, plus snacks, day after day, after day. Words cannot describe how a “normal” family is affected. Eating out in restaurants? Sorry, we can’t do that. Going on a bike ride? Sorry, we can’t do that either. Well, we couldn’t do that until just recently. You see, my (Missy) brother has a disability–well, let’s be honest–multiple disabilities (autism, cognitive disability, seizure disorder, mild cerebral palsy). 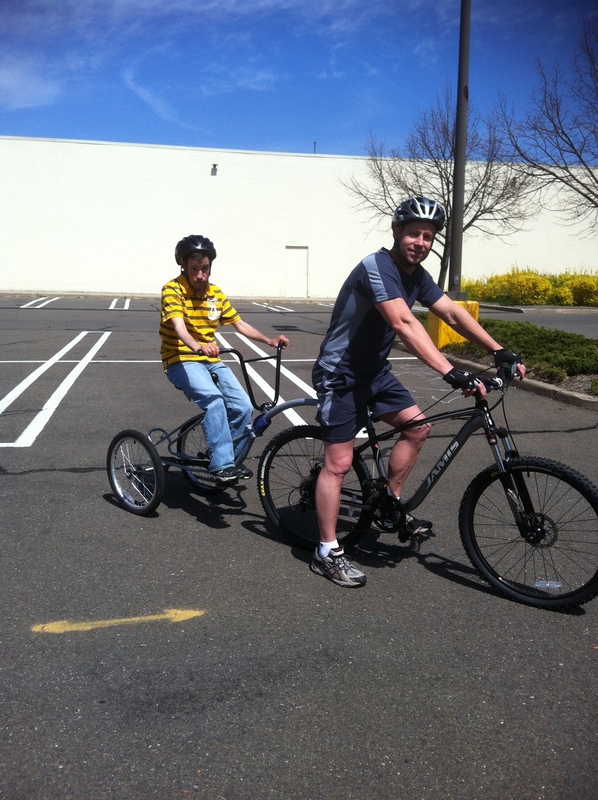 Those disabilities affect many of his life activities as well as some of our family’s activities. Something as simple as riding a bike was too difficult for him. We tried those “special” bikes but since he cannot steer or use the braking system, bike riding just wasn’t possible for him.Plus, how could you get that bike on the bike rack? 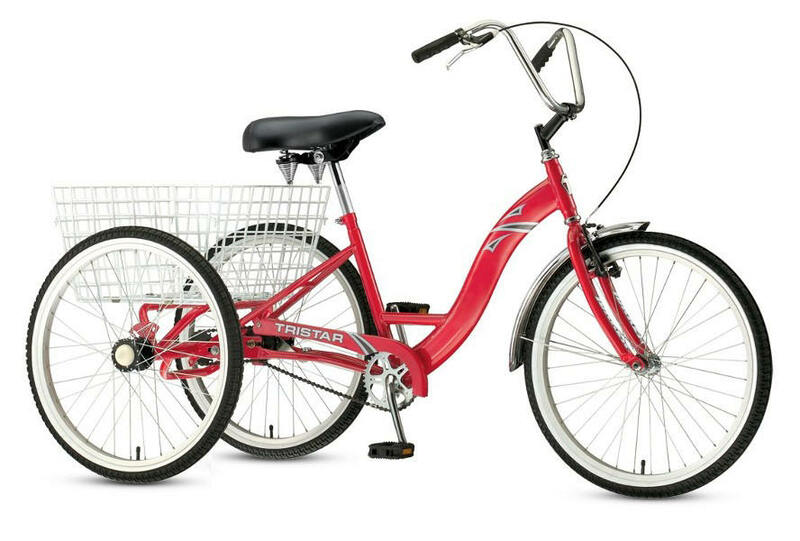 Sure, this tricycle/bicycle probably works for some people–it just didn’t work for us. 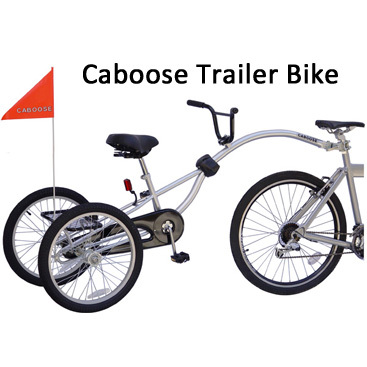 Enter, the Caboose Trailer Bike. This bike attaches to the back of an adult bike. Surely you have seen toddlers riding at the rear of bikes. This bike is similar except that it has two wheels at the back for added stability. The rider does not need to steer or brake. However, the rider has handle bars and fully functioning pedals to enable him or her to participate. We ordered right from Pedal Cars and Retro dot com. The bike shipped in just a few days. It comes in a box and requires some assembly. However, once assembled, the only work that is required is attaching it prior to the ride. Well, ok…..it does require a bit of work to pedal depending on how much the rider weighs. The trailer bike does not fit on our bike rack. It does, however, fit in the back of the SUV. So, all 5 of us, and our bikes, and the trailer fit snugly in one package. Clearly, with my brother tagging along on family outings, we can never have a “normal life” but that won’t keep us from trying. 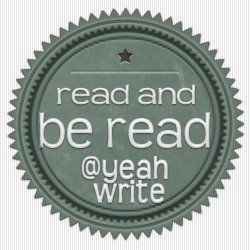 We are hanging out again this week over at Yeah Write. Hop on over there to visit other blogs where there are no winners just writers. Or you can head over to the challenge site and help pick out the winners on Thursday.